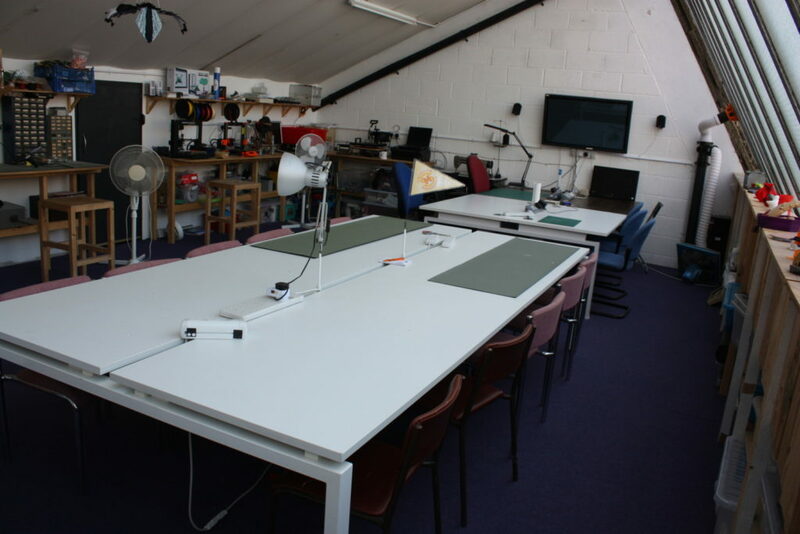 In 2018 we opened our new mezzanine floor, the “clean space”, where you can work on less messy projects such as craft, electronics, radio control, sewing, computing. There are plenty of benches both in the center and around the edge and large windows make it a very light space to work in. There is a large TV on the end wall for computing or presenting if you want to give a talk about something. 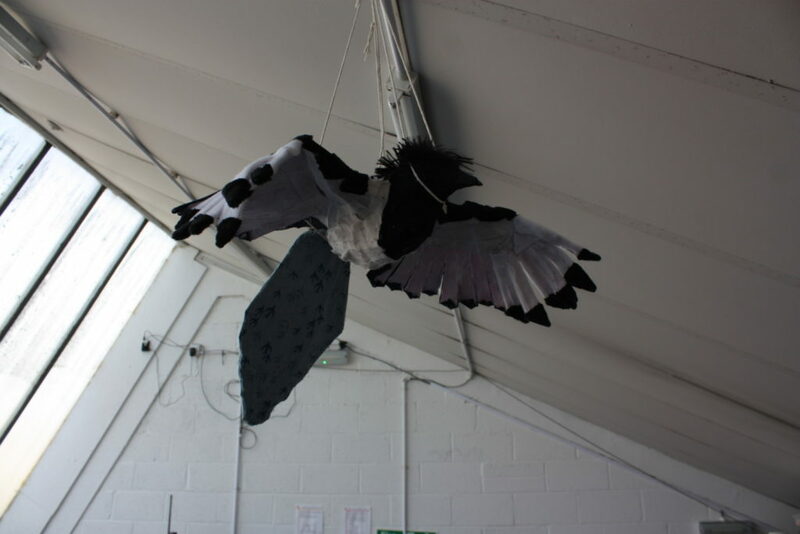 We have a regular group of crafters who meet weekly to do a multitude of art and craft projects. 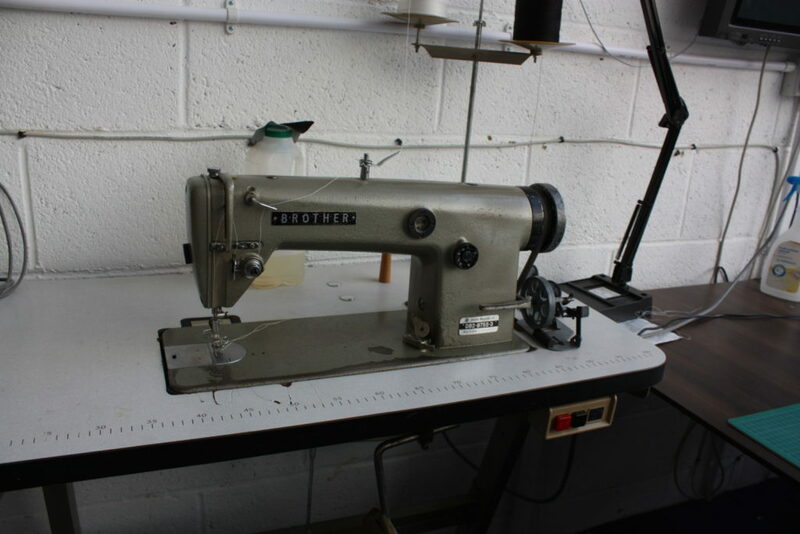 There is a small ironing board and a couple of sewing machines one of which is an industrial machine that can handle heavier fabrics and leather. We also have a heat press that can apply designs to t-shirts and mugs. There is a well equipped electronics bench with multiple soldering irons and a hotair rework station for surface mount work. 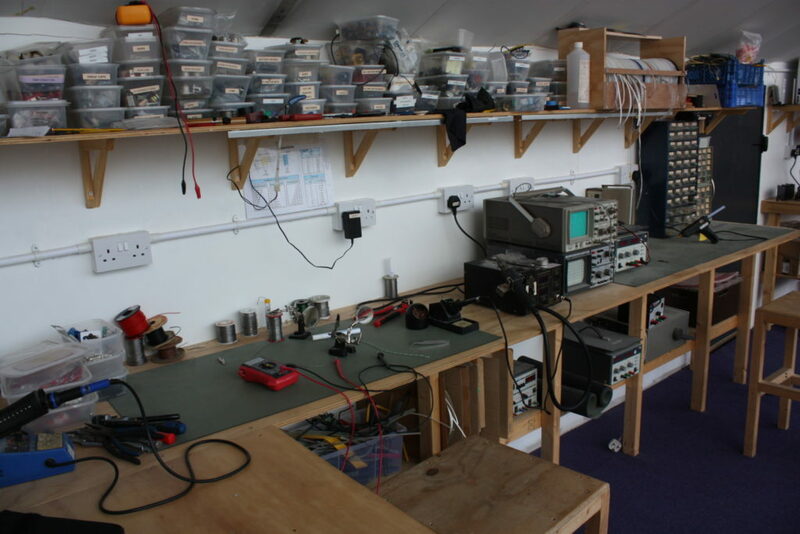 There is a selection of test equipment including multimeters, oscillocopes and bench supplies. If you need a few parts for your project we have a selection of common electronics components such as resistors, capacitors, switches, connectors, etc available for use. There is also the “mini bar” which contains various electronics components for sale such as Arduinos, hobby servos, stepper motors, sensor boards and more. 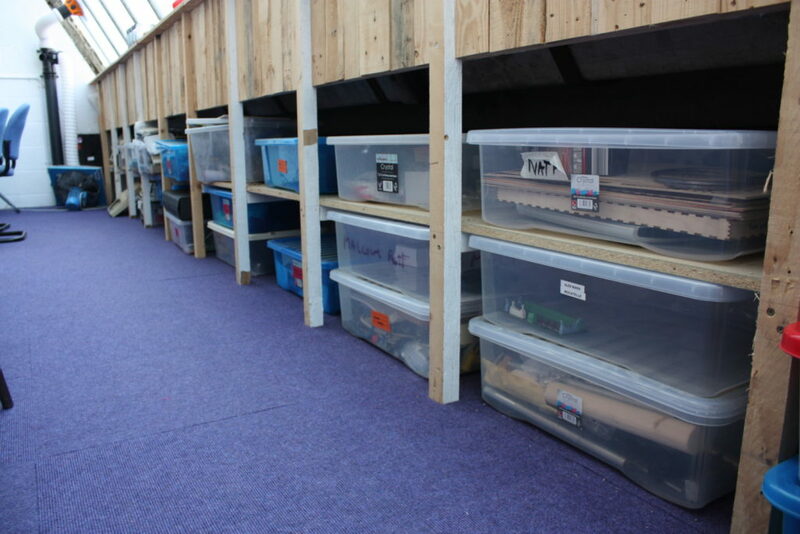 The mezzanine is also the main place you’ll find member storage boxes – each member can have a standard size box to store in progress projects in the space. 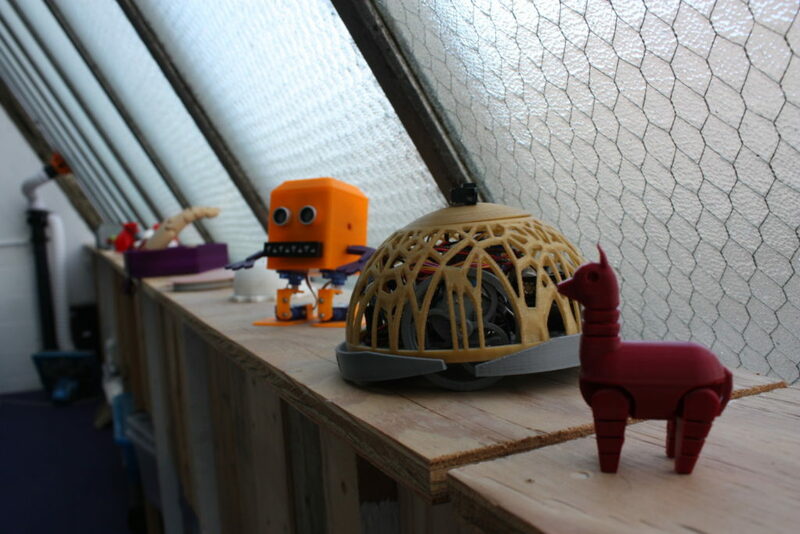 You might also find various things out members have made on the under-window display shelf – feel free to add anything interesting you’ve made that you’d like to display!